Meet the Sea Monkey Converter with user-friendly interface! 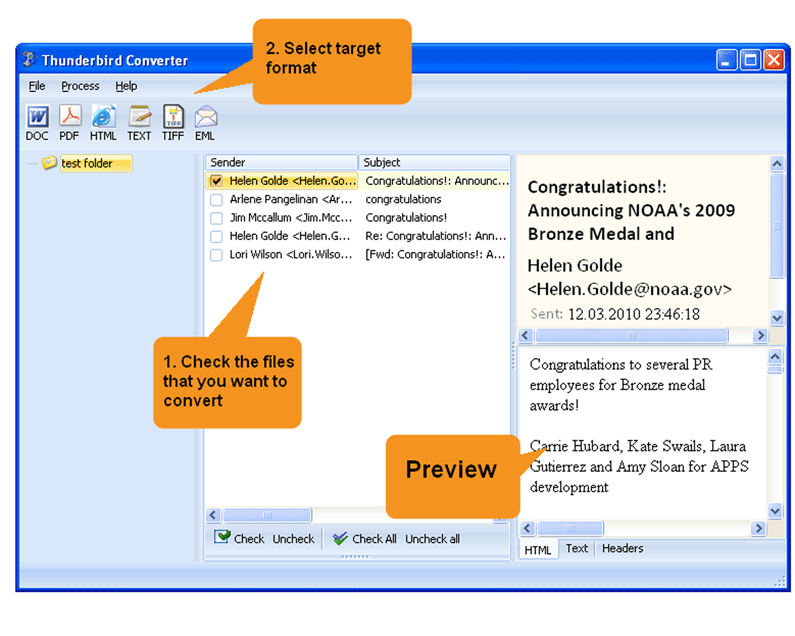 You are here: CoolUtils > Total Thunderbird Converter > Meet the Sea Monkey Converter with user-friendly interface! If you are looking for mail conversion tool for your Mozilla SeaMonkey account, there is no better solution than Total Thunderbird Converter from CoolUtils. Mozilla SeaMonkey is a functional multi-account mail client that offers highly protected email sharing. Any online system is vulnerable due to a great number of scam risks. That is why it is often useful to take care about email data backup. Making the information stored in SeaMonkey email folders suitable for editing and printing. 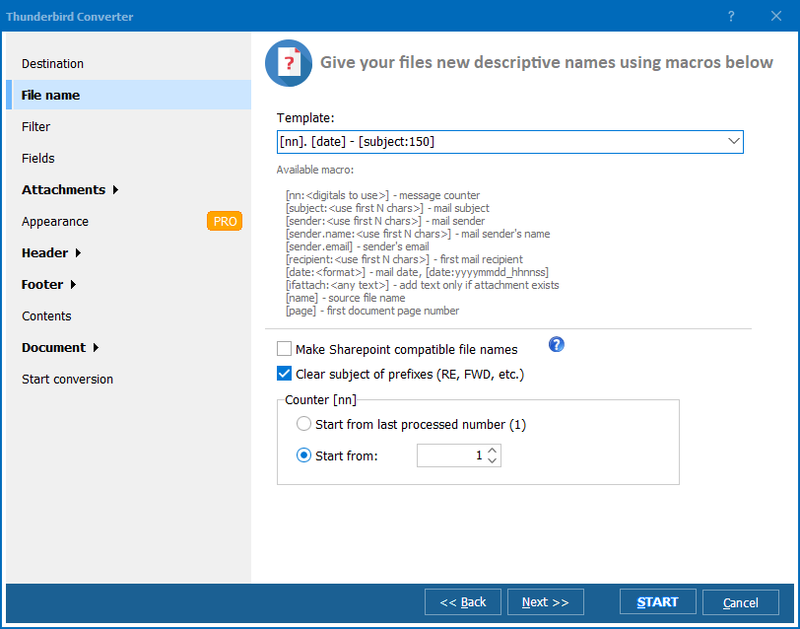 The program uploads your SeaMonkey email storage file, giving you ability to convert separate messages or the whole email history. There are a few formats offered in this SeaMonkey converter: DOC, TXT, PDF, HTML, TIFF, EML. TXT is the best format for backup storage, as it is very compact in size and can store huge amounts of text data. DOC is better for editing, TIFF is suitable for sending emails by fax or printing. If you convert emails to HTML, it will be convenient to public them online or use as a part of website content. Conversion to EML make messages compatible with all mail clients that support this format, like MS Outlook. The process is similar to the way you convert Thunderbird emails. You need to checkmark messages for conversion, choose the format and make proper settings. 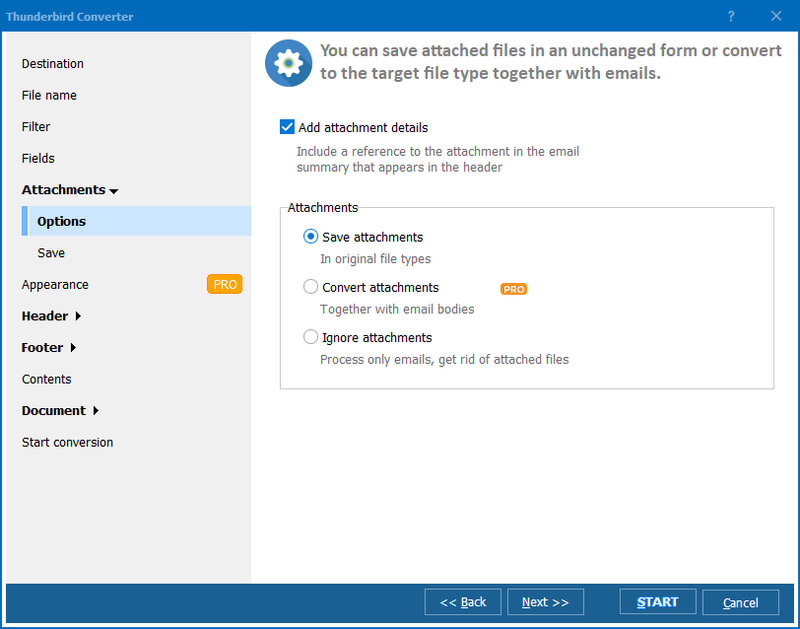 Total Thundrebird converter effectively converts email body and other fields, can save attachments or convert them into required format if they are texts. It is functional and time efficient solution for converting your SeaMonkey correspondence. Try it now in free trial or get a licensed version!